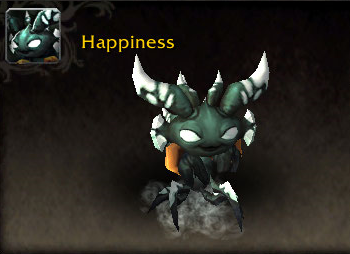 There are currently 20 new pets on the PTR. The next Raiding With Leashes will include Mists of Pandaria raids. Raiding with Leashes VI: Pets of Pandaria features 11 pet drops from Mogu'shan Vaults, Terrace of Endless Spring, and Heart of Fear raids. The PTR Pet Journal does not include additional details, such as which boss drops which pet yet, but it will likely be updated with this information in the near future. The upcoming Raiding With Leashes installment does not include the later MoP raids, Throne of Thunder and Siege of Orgrimmar. There are 10 pets that already drop from these two raids, but it's unknown if they will eventually be included in Raiding With Leashes, or if they'll remain as separate, standalone drops. As noted above, the Darkmoon Faire will include 3 new pets in Patch 8.1.5. These balloon companions will be purchasable for 90 faire tickets each. The pets cannot battle and cannot be caged or traded. Children's Week will also be receiving an update à la Battle For Azeroth. 4 new pets were datamined, although it's still unclear which quest will reward them. Last but not least, the Brawler's Guild will be making a return. So far there are no new pets included in the upcoming 'season', however Clock'em and Tylarr Gronnden will be available once again. Requirements for these two pets seem to be the same as previous seasons. Will there be even more Pet Battle content in 8.1.5? We'll have to wait and see. Stay tuned — we'll have more updates and previews of upcoming 8.1.5 pet content! I wish they would take all these Ballon pets and the few other non combat pets and label them as toys. They are cool they are just better classified as toys not pets. That being said, I must have them. Sigh, so that is three more pets I can not level, wish they would let us use stones to level them. You could level no combat pet at the start but they removed the abilty to do so later in an undocumented "fix"